Participate in 100 Scope Notes' "Lion Yourself." I guarantee you'll have a roaring good time. 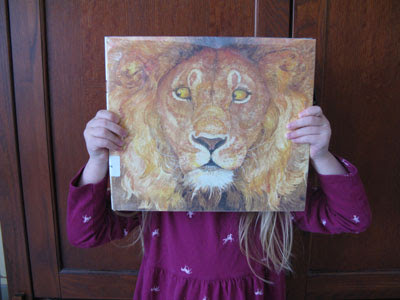 The kids pretended to be the lion and the mouse (my son wanted to look at the lion, and I couldn't convince him to turn the book around to snap a lion picture). We're sending our pictures to Travis for inclusion in his gallery on 100 Scope Notes. 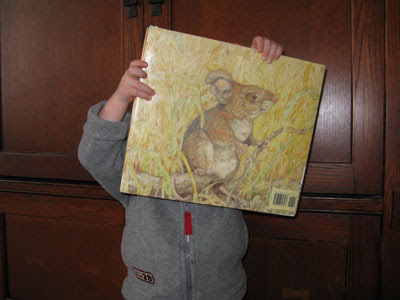 Don't forget to check out our review of this book, The Lion & the Mouse by Jerry Pinkney. These are awesome! I'll add them to the gallery. Such a beautiful book, it just has to win something? Doesn't it?